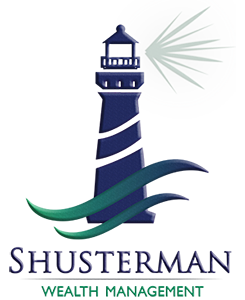 Shusterman Wealth Management is building on more than 30 years of success in business. Our commitment to excellent client service has not waivered since 1985. We partner with our clients in a way that goes beyond traditional wealth management*. We will work with them to create the ideal plan to set them on the path toward the life they've always hoped to lead. Learning what is important to you is our first step to creating a personal wealth management plan specifically tailored to you. Our commitment is to do what's in your best interests. We know that your personality, experiences, hopes and dreams influence every important decision you make - financial and otherwise. to clients with investment assets of at least $300,000. http://www.preferredadvisoracademy.com/investors **The Academy of Preferred Financial Advisors Member is solely an indication that the financial advisor attends training provided by The Academy of Preferred Financial Advisors (APFA). Working with an advisor that is part of The Academy of Preferred Financial Advisors (APFA) cannot guarantee investment success or that financial goals will be achieved. There can be no assurance that working with a member of APFA will produce or achieve better results than working with an advisor not affiliated with The Academy of Preferred Financial Advisors. Advisors who participate in this program pay a fee to belong to the program. APFA is not affiliated with SagePoint Financial, Inc. and is not sponsored or endorsed by the broker/dealer.